I have my layout as shown below. 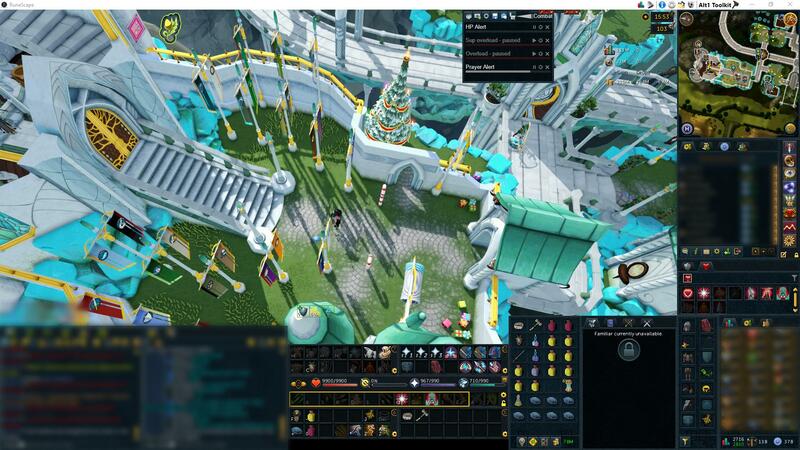 Unfortunately I have to move my action bars up from the bottom of the screen a little (leaving the ugly black bar) because if I move the HP and Prayer bars any further down, AFK warden fails to detect them. This then triggers the HP / Prayer low alert. If I move the bars slighty up, as I have done below, everything is fine and it works as intended. 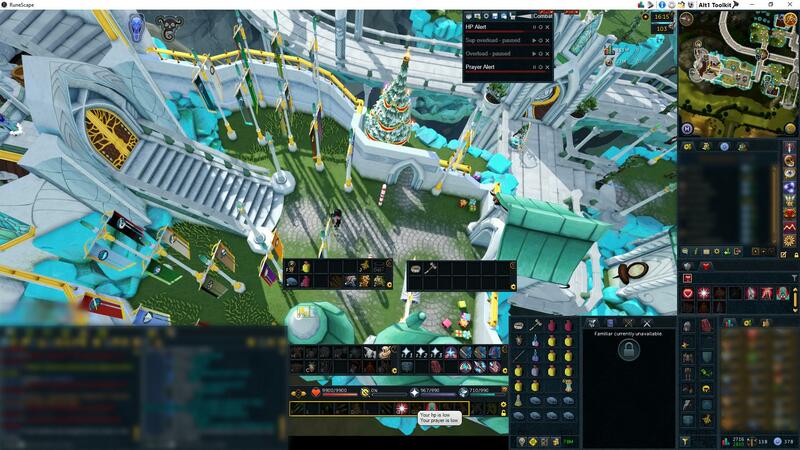 I have checked the capture settings in alt1, and the whole screen does appear to be getting captured in DirectX mode.